Alentejo is a supremely romantic wine region in southern Portugal (just north of the Algarve) where you will find soft rolling hills covered in vineyards, cork forests, whitewashed villages and Moorish castles. The Alentejo is wonderfully unspoiled and the medieval hamlets perched on hilltops crowned by Arab castles resembling their original beauty of hundreds of years ago. Some of Portugal’s most famous wines are made in the Alentejo like Cortes de Cima, Herdade dos Coelheiros, Mouchão and the pioneering Esporão. There are also a host of fantastic, newly launched wine estates, there really is a wine style for everyone here. This fabulous wine connoisseur’s tour in the Alentejo has been designed for wine lovers also seeking luxury. You can look forward to superb wines, ultra-charming hotels, and some great dining. 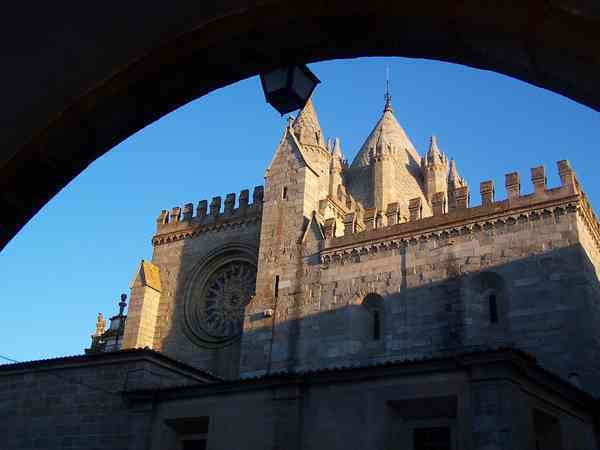 From Lisbon, you will travel east towards the beautiful Unesco world heritage town of Évora. You will visit medieval Estremoz, a captivating hamlet with a castle and darling wine and pottery shops, completely trapped in time. Over the next few days, you will enjoy VIP winery visits, vineyard walks and special tastings with the winemakers and owners themselves. 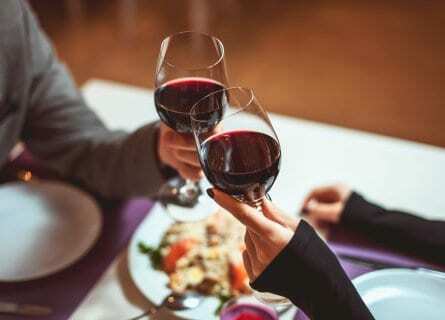 Taste a range of Portuguese and international grape varietals like Aragonez (the local name for Spain’s Tempranillo grape), Touriga Nacional, Trincadeira, Castelão, Tinta Caiada, Syrah, Cabernet Sauvignon, Arinto, Antão Vaz and Roupeiro. 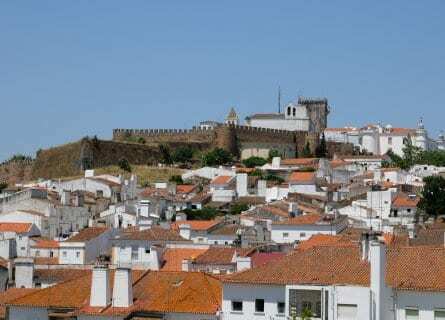 Visit charming little villages like Monsaraz; tour Évora with a private guide and take in its quaint little old town including the Roman temple of Diana and the spooky chapel of the bones; dine on traditional recipes dating back to medieval times in a 15th century monastery; drive through peaceful landscapes reminiscent of the African Savannah, and stay at two of the loveliest luxury hotels in Portugal (one a converted convent, the other a magnificently restored farm estate). If you are looking for an original destination off the beaten path, but that guarantees luxury and top-notch wines contact us for more information on this extraordinary wine tour of the Alentejo. This morning your chauffeur will pick you up at either Lisbon airport or your hotel in Lisbon, and you will travel to the Alentejo wine country! Your first stop today is the tiny village of Igrejinha to visit the wild Herdade dos Coelheiros estate, fairly recently taken over by Alberto Weisser and Gabriela Mascioli, in 2015. This couple totally fell in love with the gorgeous estate, making it their home and investing considerably in the new era of Coelheiros. 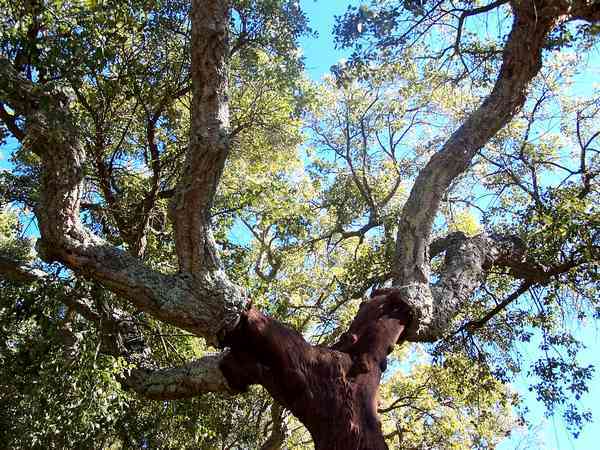 This extensive estate not only produces wines but also farms walnuts and cork trees. Tour the property by Land Rover, taking in the beautiful landscapes and finish with a tasting of their superb barrel fermented white wine (an elegant chardonnay) and the powerful Tapada de Coelheiros (made with Cabernet Sauvignon × Alicante Bouschet and aged in new French oak for 18 months). Carry on to the nearby village of Arraiolos from where the famous “Tapetes de Arraiolos” (woven rugs) originated, you will have noticed that the Coelheiros bottle labels are inspired by the woven designs. Here enjoy some free time for lunch, visit the tapestry museum and take a stroll around. Then carry on to your luxurious hotel, near Évora. Check-in and relax, go for a walk in the beautiful grounds or make the most of the spa. Tonight you have a welcome dinner at the hotel’s gourmet Divinus restaurant, situated in the ancient wine cellar. Taste refined dishes paired with elegant wines. Welcome to the Alentejo! Your first stop this morning is only a 10-minute drive away, so you’ll have time for a leisurely breakfast before your chauffeur takes you to Cartuxa, just out of Évora town. Now a privately owned charity, the Eugénio de Almeida Foundation, created by Vasco Mária Eugénio de Almeida on 12 August 1963 when he decided that as he had no descendants to carry on his legacy he would give it back to the people of Évora. The foundation focuses on the cultural, educational, social and spiritual development of the local region. When you taste the wines you will have no doubt about how Cartuxa has grown to their level of success, even the mid-level table wines EA are notable. But what many will know Cartuxa for is Pera-Manca both the red and white are exquisite wines – pure finesse and harmony in a bottle. (You will be given the opportunity to purchase a bottle at the end of the tasting). Its then about a 20-minute drive to Herdade to São Miguel, proprietor Alexandre Relvas has led this vast estate since 1997. 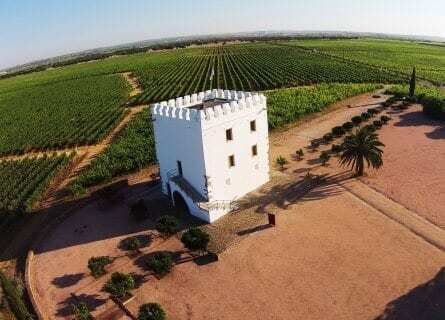 In total it encompasses 175 hectares of land, of which 35 are dedicated to vines, the rest is cork forest and grazing pastures for sheep and the very adorable ‘Mirandela’ donkeys. Your lovely host Joana will lead you through the winery and estate and tasting (including some of their more recent single varietals) before taking you to Alexandre’s home for a family wine lunch. Mid-afternoon you will head back to Évora where your private guide will be waiting to take you on a guided walking tour of the main sights. You will visit the Templo Romano (2nd-century Roman temple), the Igreja de São Francisco and the Capela dos Ossos (beautiful 16th-century church with a macabre bone chapel) and stroll through the Jardim Público (the gardens that follow the church’s fortifications). This evening is free to dine on your own, you may like to check out Fialho in Évora old town; casual yet utterly charming. This restaurant serves authentic Alentejo dishes such as duck rice, cod with shrimp and grilled pork all washed down with cracking wines from their impressive cellar. This morning you will drive south-east for about 45 minutes before arriving at Reguengos de Monsaraz at the splendid Esporão estate. This is one of the leading wineries in Portugal, making excellent wines and olive oils. Australian David Baverstock is their famous flying winemaker who makes many single varietal wines with native Portuguese grapes. You will have a private guided wine tour followed by a tasting of a selection of their wines. Sit down to lunch next in their bright and airy restaurant, relax and enjoy the tasting menu planned for you which is perfectly paired with different wines than from your tasting so you really do experience the maximum from this fabulous winery. The menu is ever evolving but you can expect something like; the Esporão Patês (olive and tuna) to start, paired with their zippy white Vinha da Defesa. Next up is baked stone bass in a grape sauce and a vegetable crepe with apple vichyssoise paired with the Esporão Reserva white. Continue with red wine marinated wild boar and chestnuts served with their Trincadeira single varietal, followed by the famous Esporão Roast (slow cooked beef, seasoned with mint and red wine) with Arabian Rice (with raisins) served with the Esporão Reserva red. You will be amazed at how you find room for the “Sericaia” dessert (Regional cake made of cinnamon, lemon, and eggs) accompanied by a fortified (“Licoroso”) red wine. Their superb olive will undoubtedly be served at lunch, but you will also be invited to visit the mill and taste the oil there. Visit the marvelous little whitewashed fortified village of Monsaraz where you can enjoy some free time to go for a digestive walk, exploring the hamlet on your own. In the late afternoon, you will move on to your next abode, the absolutely delightful São Lourenço do Barrocal Hotel. You will appreciate some time just to “be” here, as it’s so peaceful and relaxing and you will certainly experience what it is like to be part of the vast Alentejo land. Far from towns and cities, this area is perfect for star gazing and night photography, if this interests you we have a fun night photography masterclass in store. Alternatively just relax and gaze at the stunning night sky whilst sipping on a glass of wine. This morning you will head to Estremoz, enjoy some free time to have a coffee at the stunning Pousada Rainha Santa Isabel, a majestic castle that Portuguese King Diniz built for his wife Queen Saint Isabel in the 13th century. Isabel was given sainthood for dedicating her life to the poor, despite being forbidden by her husband. She founded orphanages and convents and is one of Portugal’s most cherished queens. Stroll through her wonderful palace, now transformed into a Pousada hotel. Then it’s on to Dona Maria wines by Julio Bastos. The palace and estate are also known as Quinto do Carmo due to the chapel erected in 1752 being dedicated and consecrated to “Our Lady of Carmel”. There really is a “wow” everywhere you turn here from the striking palace and its beautiful grounds to the incredible range of wines and your adorable host, Isabel. Isabel effervescently leads you through the tasting of her husband’s superb wines, before accompanying you to her family dining room, with many original 18th century features still immaculately preserved. Lunch is a typical Alentejo affair, rich tomato soup with poached egg, cod over home-grown spinach and a selection of local sweeties to finish. A short 30-minute drive to Redondo to visit Herdade de Maroteira. This is another immense estate of over 520 hectares, predominately dedicated to cork farming. In fact, surprisingly only 17 hectares are planted with vines, and from this only 95-100.000 bottles of wine are produced a year. These are minimal quantities, but very well done, so well, in fact, new releases sell out in no time. You will be pleased to know that they do keep stock back for their visitors. Your bubbly host José will take you on a fun 4×4 drive through the stunning cork forest, stopping at a lookout point for a glass of white, before continuing to the vineyards and then back to the house to taste the rest of the range; Dez Tostões White from a 100% Antão Vaz whilst the red is a blend of Aragonês, Alicante Bouschet, Touriga Nacional and Syrah and Cem Reis White 100% Viognier and Red 100% Syrah – cheers! You will arrive back at your hotel late afternoon, to make the most of your last evening here with some free time and to dine on site. This morning at your preferred time your driver will take you to Lisbon’s airport for your outbound flight or next port of call. This concludes your marvelous wine tasting adventure in Portugal’s romantic Alentejo region, we hope you had a great time! Vintage House was also lovely. Pacheca was fantastic – good tour, great descriptions of their work, great tasting. The enthusiasm and detail of the owner was one of the highlights of our trip. The real joys of Esporão were the location, the wines and the restaurant. Sintra was gorgeous, Obidos was gorgeous, Evora was gorgeous, the boat ride down the Douro was great. Victor, our driver/guide, did all towns on the tour and he was remarkably good. He gave us great details of the places we were visiting, he knew the answers to 95% of the questions we asked and had reference to find out the other answers while we explored the towns. He did a good job of guiding us, giving us insight and advice, but leaving us alone time to explore the different towns.